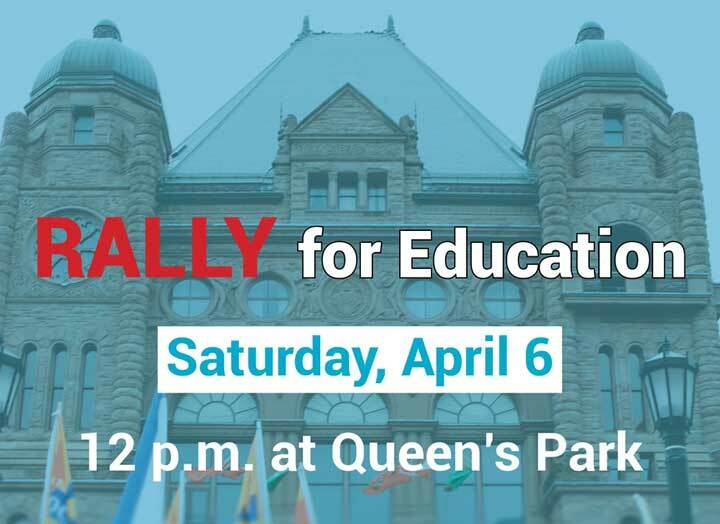 RALLY FOR EDUCATION THIS SATURDAY! 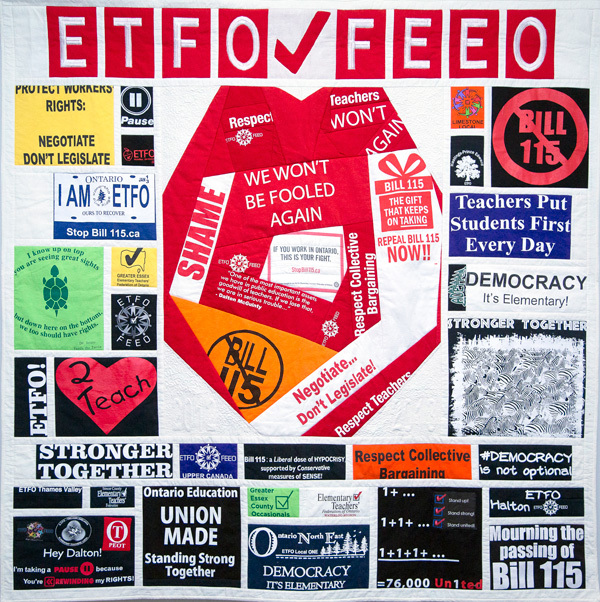 ETFO members, along with members and supporters from OSSTF, OECTA, CUPE, AEFO, the Ontario Federation of Labour and other unions, will gather at Queen’s Park in Toronto this Saturday to send a message to the provincial government. It’s not too late to check with your local to see if it is chartering buses to take members to the rally. We have already seen what our mobilization efforts can do to push back against education cuts, but we must continue to mobilize. Now is the time to step up our efforts and take action for public education. On April 6 let’s remind this government that we are the people of Ontario and children must not pay for government cuts.